Only one year warranty. One of the few things that held me back. I like that 2nd year at a minimum. If a frame can make it two years, I feel like I got my money's worth. GG has lifetime warranty for original owners? Fair enough, my point though is Evil cracked their frame with their unscientific test and SC couldn't. I'll wait for Evil to put footage of their torture tests out to the public. Until then, those beautifully sculpted VPP frames will stay at the top of my list. That Santa Cruz video has always bugged me. I mean, around here most of us have broken a frame, and it always seems to just happen at the most random times, not casing a 20 foot jump (that our trails don't even have.) Carbon frames are supposed to be extremely strong in the directions they're designed to be strong, and that video demonstrates this. But it's that weird rock you hit at the wrong angle that twists and cracks your chainstay, and those tests don't simulate that at all. All the forces in that video are linear and controlled to the max. Our trails do have those actually. My Scott was purchased used with a gouge in the carbon right above the bottom bracket. I rode it hard for 8 years and it never became an issue. It finally cracked in the middle of the non-driveside seat stay a couple of years ago. That's close to a decade of riding Austin gnar like it was an all mountain bike when it's actually an old school 26" cross country hardtail race bike. I'm always amazed at what carbon can handle. 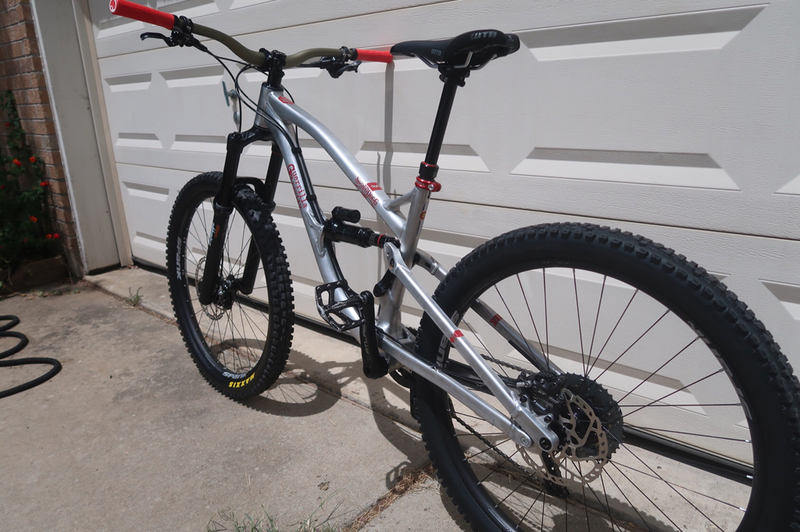 My 2010 Tallboy carbon has 10k miles of Austin riding. Frame still looks like new hanging in my garage. Copy/pasta below...lots of words to basically say "one year REAL warranty and pro-rated crash replacement." The pro-rated part is sketch. Most MFRs that offer a lifetime crash replacement offer a set discount vs pro-rated. They're a small company and can't afford to eat tons of warranties a la Santa Cruz. I get it. They have an interesting business model/supply-chain and its cool to see US-made bikes be competitive price-wise. I would not be surprised to see others copy it. First off, we want you to know that we strive to build bikes that are durable and long-lasting, something that you can pass down to your kids/little sisters/favorite beginner. Anything less than that is a disappointment. Also note that the wide range of experiences and environments that mountain bikes encounter makes it impossible to account for every rider type, style, and aspect of misuse and misfortune. For this reason we feel it is misleading to offer a warranty similar to the ones found through the industry, which are chocked-full of ifs, ands, and buts. Manufacturing defects typically reveal themselves within a year of ownership. Should a failure occur because of one of these we will act expediently to get the rider a replacement. 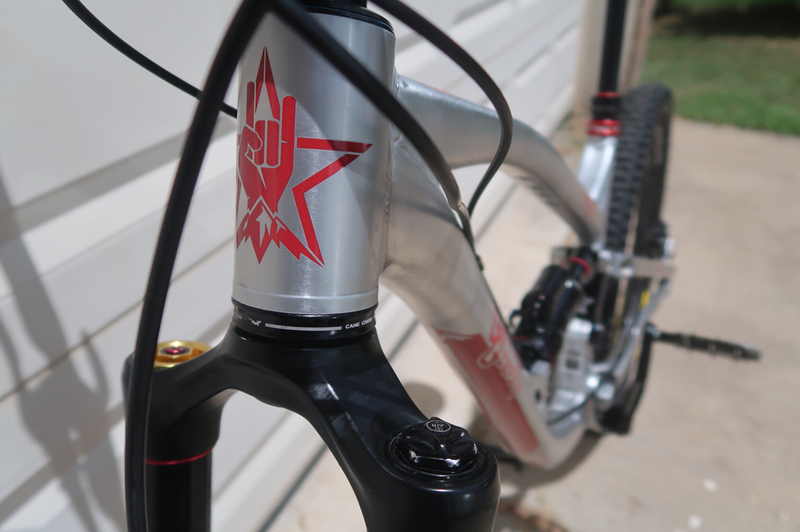 Because of science, mountain bike frames and products do have a usable lifespan. But we know a broken frame never makes for a good day, so for this reason we will provide discounted replacements for the lifetime of the frame. The discount will depend on the age of the frame, replacement necessary, and circumstance. Frames painted or powder coated outside of GG's system will not be eligible for the Lifetime Frame Support. In order to take advantage of the Lifetime Frame Support program, you will need to provide proof of purchase (if purchased through one of our partner channels and not directly through us). To receive a replacement, the rider is responsible for shipping us the frame in question. Please feel free to email us with additional questions. I just noticed that between the 2 threads about this story on MTBR alone, it has almost 10k views already, is is pretty steadily growing... evil saved themselves how much.... $300, maybe $400 on a rear triangle by choosing to give me the shaft? I wonder how many people saved themselves the trouble and chose to cross evil bikes off their list after reading my story. good job evil, if you dont feel any regret by now, you should! I was considering an Evil Following, and I was already on the fence after reading about some tire buzz issues on small/med frames. This kinda tipped me over to the 'nah, nevermind' side. I'm looking for a used Evil brand baseball bat, if anyone has one available? Cheif and ninjammin like this. Yessss! Alley oop to Neil successful! yosmithy and ninjammin like this. None available at the moment. All being used for some fairly sophisticated testing purposes. Can't really say more than that. But that would void the warren tea. Have you performed the baseball bat test on it? We need to have the OP contact Evil and find out if the test instrument (The Baseball Bat) was made of wood or aluminum. That will provide validity to the exhaustive test that was performed. Yes, I am serious about it. Took a while to get, but doesn’t look like it’s going to break..
TheSarge and NachoMaster like this.